Attendees enter a wee home. The parking lot of the Humboldt Unitarian Universalist Fellowship in Bayside was full within an an hour of the Affordable Homeless Housing Alternatives (AHHA) Tiny House Expo, held Saturday. Cars parked on the narrow shoulder of Jacoby Creek Road as people walked onto the church grounds to take in music, eat a free meal, attend panels on housing in Humboldt and clamber in and out of the tiny houses set up on the lawn. The expo, put on by AHHA, was meant to demonstrate what a tiny home village would look like. 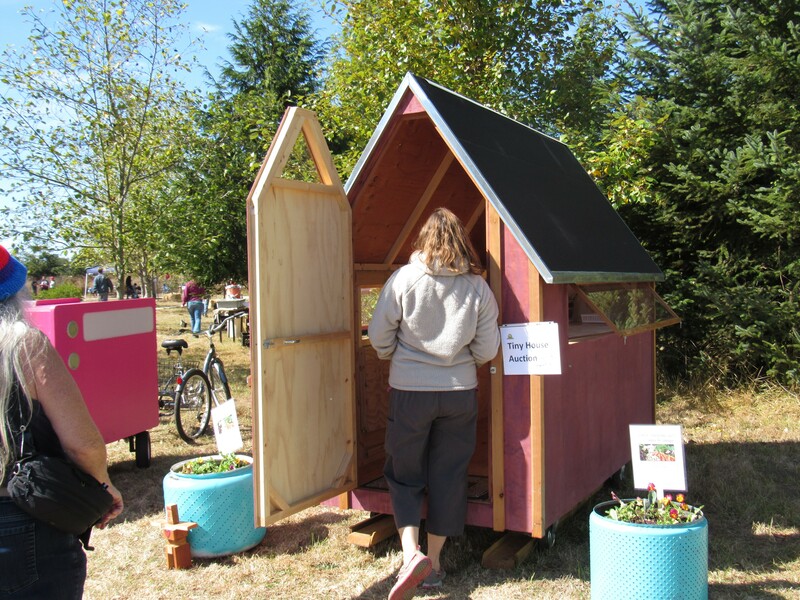 AHHA has proposed an eco-village modeled on a similar project in Eugene, Oregon, to address the estimated 1,300 people currently homeless in Humboldt County, many of whom camp in greenbelt areas. Although the event was free, the organization took donations and also auctioned off two tiny homes. One went for $3,000 and another $750, a price that covered the total cost of building the donated homes. More than 300 people attended the event. 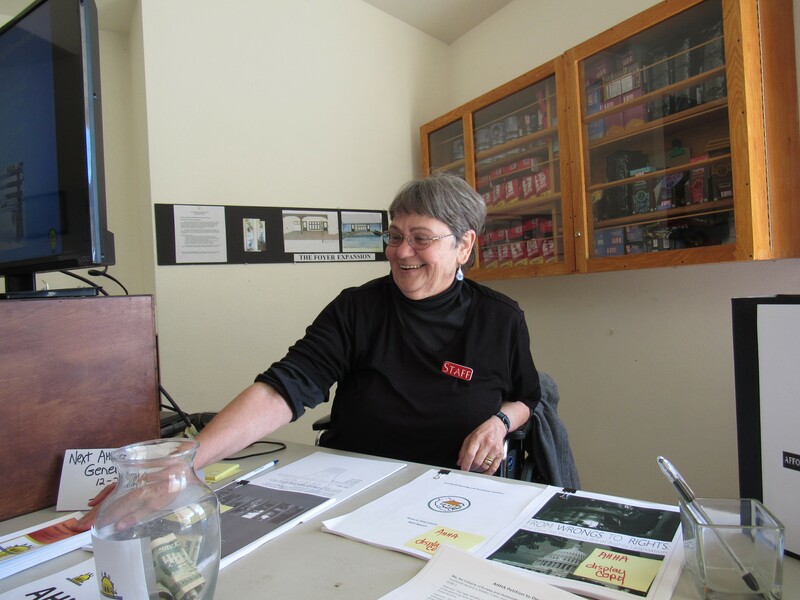 "It's amazing," said AHHA board member Edie Jessup. "I think it speaks to a high level of interest." Jessup gave out meal tickets from her wheelchair (she suffered a fall in June) while fellow board member Nezzie Wade facilitated a panel on which she was joined by Beth Matsumoto of Housing Humboldt, Michael Richardson, a senior planner with the county, a formerly homeless man who identified himself only as James, and local solar contractor who goes by "Solar Roger." The panel discussed obstacles to forming a tiny house village, including county zoning laws, securing funding and integrating services. Future steps will include asking for changes to the county's General Plan that address zoning for tiny homes and low income housing. Attendees were also asked to sign AHHA's petition to the Humboldt County Board of Supervisors to declare a local shelter crisis. The board recently rejected the Humboldt County grand jury's suggestion to create a housing trust fund. Jessup said the expo, which featured an orderly tent city, a model kitchen tent used by California Conservation Corps workers in the backcountry, five tiny houses and several activity areas, was meant to demonstrate how a tiny house village could work, combating stereotypes for people who may not want a settlement "in their backyard." Money raised at the expo will go toward implementing a model village. It will be smaller in scale than a sanctuary camp once proposed by Eureka Police Department Chief Andy Mills. Jessup and others say that villages much larger than 25 families are untenable, diluting both the community feel that is supposed to be fostered by such villages and making it difficult for all populations to be served. The best option, she said, is to create a spectrum of villages to serve a diversity of needs: for the sober, the not sober, those with children, those without. Jessup said that besides saving a substantial amount of money currently used to police and hospitalize those camping, it will create a stable place for people to stay so social workers can reliably find them and connect them to resources, assuring existing resources are used more efficiently. Despite the concerns of some critics, housing would not be a "free ride," she said. "We feel like people who can afford to contribute, should. 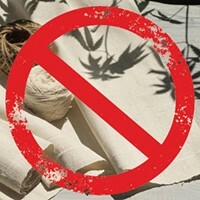 It would be a negotiated amount, but it wouldn't be prohibitive." 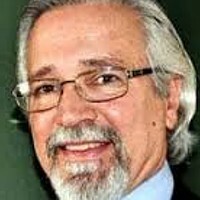 Jessup said that a lack of cooperation between the city, the county and the California Coastal Commission has stymied progress on the issue. 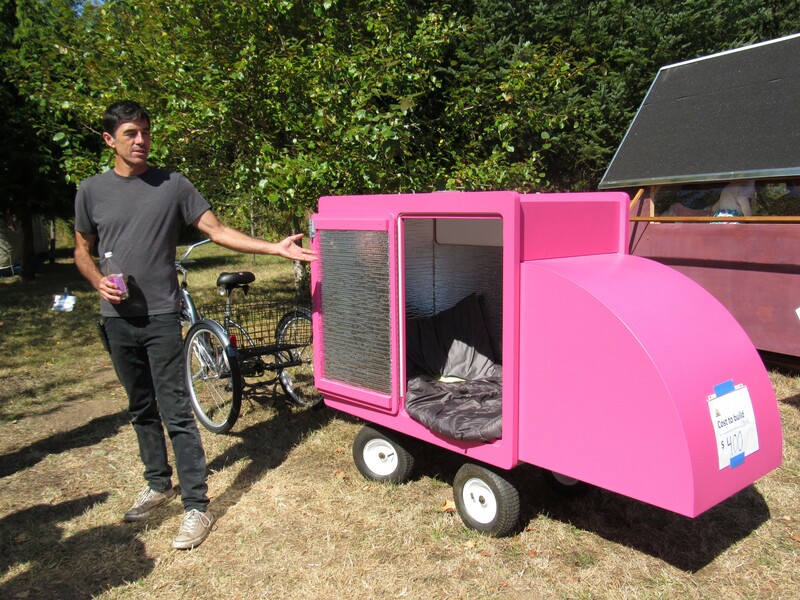 The several hundred people who attended the event had the opportunity to speak to people who built the tiny homes, including carpenter Chris Housley, who demonstrated a bright pink portable shelter that could be towed behind a bike. Roughly 6 feet long and weighing only 200 pounds, it featured a section that folded in to make it roughly the size of a baby carriage. A solar panel on the top would provide its inhabitant with enough power to read. It costs $400 to build. Housley builds the shelters out of his own pocket to donate back to the needy. "The reason I got into this is I met some young people who were homeless, teenagers, in their early 20s," he said. "They were coming from abusive households, where it was all about control. They didn't want to go back into the system, and be controlled. This gives them freedom." Housley said he hopes cities will look at the shelter and realize they look a lot better than a person sleeping on the street. "I put 35 years of experience designing and building into this so cities would look at it and think, 'This is an option.'" Editor's Note: This article originally misstated the cost of Housley's shelter as $300. The actual cost is $400. 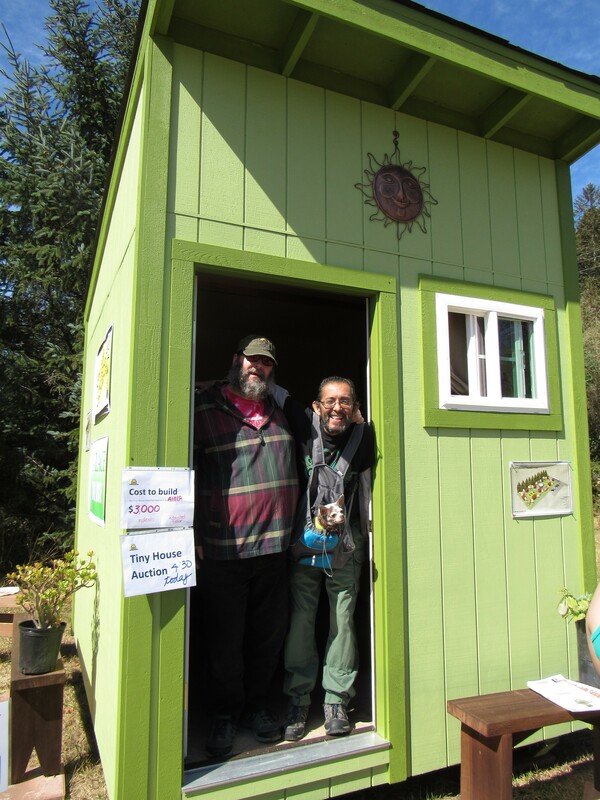 Carlos Hererra, Paul Lucas and their dog, Maybe, check out a tiny home. Carpenter Chris Housely demonstrates a tiny portable shelter he built, which is meant to be towed behind a bicycle. Edie Jessup hands out meal tickets and pamphets. 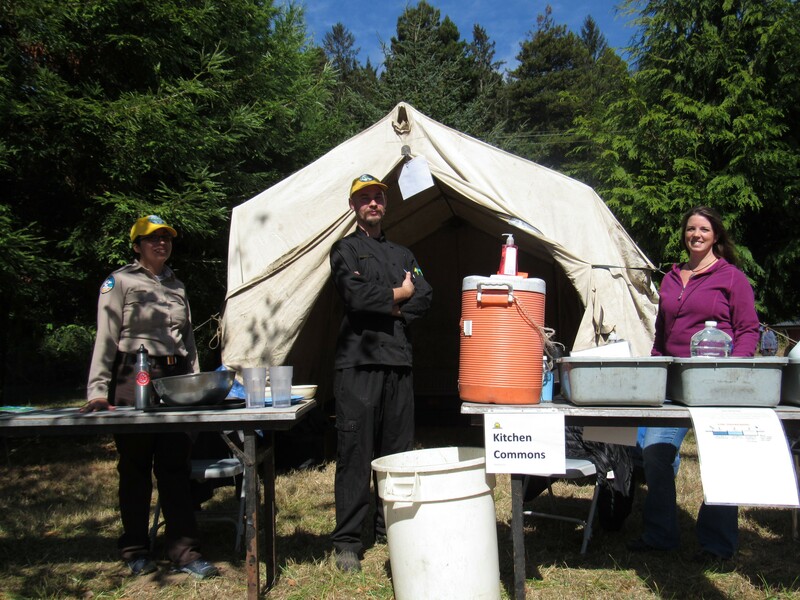 California Conservation Corps staff stand in front of their model camp. 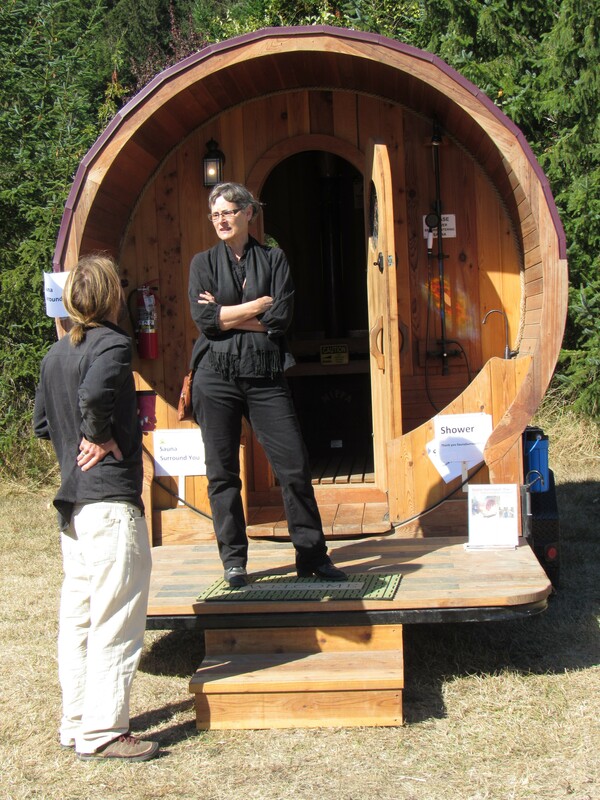 Janelle Egger stands on the porch of a tiny house with its own shower and toilet.